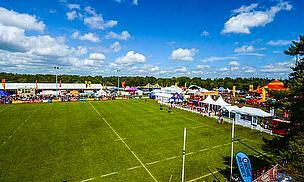 The 2014 Bournemouth 7s Festival marked its 7th birthday in style by producing undoubtedly its best event to date. The Festival took place over the last May Bank Holiday Weekend, Friday 23rd - Sunday 25th May, and the ever-increasing demand for tickets for the Sporting Glastonbury resulted in the festival once again selling out weeks in advance. Over the festival weekend 30,000 sport enthusiasts and festival-goers, including 3,000 campers, descended on Bournemouth Sports Club, to enjoy 3 days of enthralling sport and entertainment. 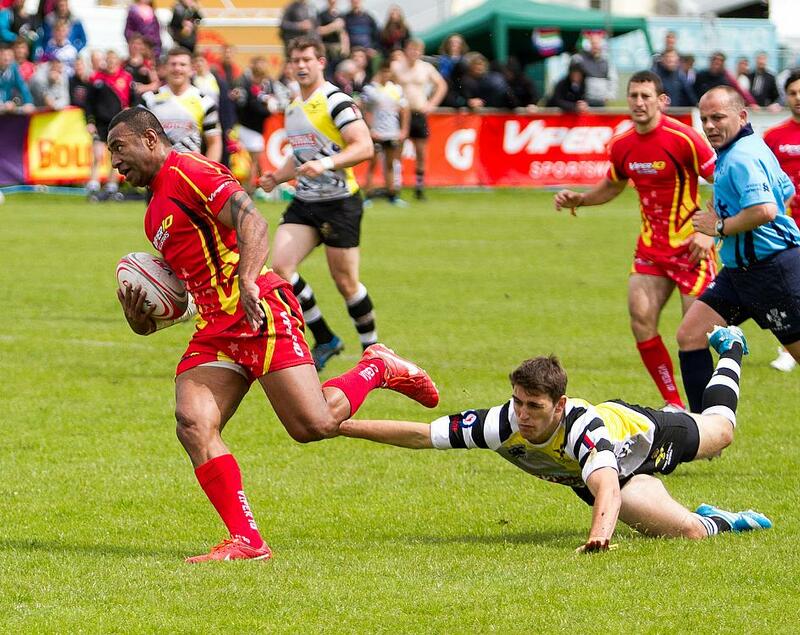 Cementing its status as the World’s Largest Sport and Music Festival, Bournemouth 7s proudly welcomed 366 teams and 5,000 players to compete across Rugby 7s, Netball, Dodgeball & the newly launched Hockey 7s competitions. Prior to this, the final of the elite Ladies Cup saw last year’s beaten finalists Wales Women, who are coached by former Wales 7s player Richie Pugh, go one step further and clinch this year’s title. The Netball 7s Festival was once again a huge success welcoming 100 teams across 8 different cups ranging from the elite Viper 10 Wine Cup, which was won by Netball Superleague team and Bournemouth 7s Official Netball Partner, Surrey Storm, to the Martini Fancy Dress Cup which was won by Bournemouth based team Saving Ryan’s Privates. Dodgeball once again proved to be a huge success with a record 64 teams competing across four different cups, with games played in the NEW Dodgeball Arena sponsored by C4L. 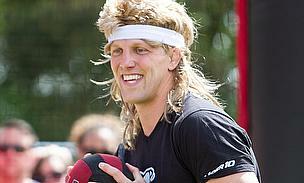 Teams could be seen playing in fancy dress and players included a host of current international rugby stars and rugby legends such as Wales & Lions star Alex Cuthbert and former England Rugby Captain and Viper 10 Ambassador, Lewis Moody. To add to the already incredible array of sporting action on offer, this year’s festival witnessed the launch of Hockey 7s. Welcoming 22 teams from across the country, those taking part enjoyed the ultimate tour experience playing a fast and ferocious scaled down version of the game, which earned rave reviews. Sports players enthusiastically welcomed the return of Red Bull as the Official Energy Drink Sponsor making use of the pitch side Red Bull Player’s Lounge, where they could sip on Red Bull to revitalise between games. In addition to this, players were able to enjoy recovery drinks provided by Official Sports Fuel Drink Sponsor Gatorade and nutritional products provided by Official Sports Nutrition Sponsor MaxiNutrition to ensure they were in peak condition to compete over the festival weekend. Another draw for players was the Viper 10 Sportswear Lounge, located behind the posts of the Heathrow Express National Cup pitch and offering an exclusive outdoor area with unlimited use of the Viper 10 hot tubs all weekend. All of the teams wearing Viper 10 kit at the festival benefitted from a variety of Viper 10 perks provided by Official Partners; Piranha Guard, TomTom and hydrating drinks provided by Vita Coco Coconut Water. Official Fitness Partner, Fitness First, were also on hand to give all teams the opportunity to prepare for matches within the Winners Warm Up Arena, hosted by their very own qualified personal trainers. If you were able to find a moment to draw your attention away from the sports competitions, there was some fantastic entertainment including the Animal WD-40 Action Sports Tour and the RAF parachute display team dropping onto the main festival pitch, which again proved to be a fantastic spectacle for all of those lucky enough to be surrounding the pitch below. Another popular attraction at the festival was delivered by the festival’s Official Car Sponsor, KIA who hosted competitions including how many people could fit inside the New KIA Soul, crowds watched on as festival-goers stepped up to take on the challenge. 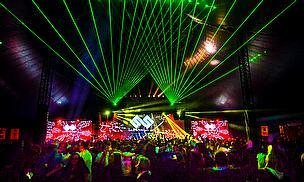 The evening entertainment on offer this year was taken to another level in terms of quality and variety. In total there were 11 Entertainment Arenas including the iconic Tuborg Beer Tent, which once again formed the centrepiece of the festival boasting a 100 meter long bar and some of the hottest DJ acts on show. For a vast majority of teams who had come on their end of season tour in groups of 40, 50 & 60 people, The Alcatel OneTouch VIP Arena was the place to be, partying in style with 1500 other like-minded sports players and taking selfies in the Alcatel OneTouch Photobooth. Adjoining the VIP Arena was The Heathrow Express V.VIP Lounge, which boasted the ultimate festival experience welcoming many celebrity faces. V.VIP guests were given the opportunity to be transported to and from this exclusive Arena via the Heathrow Express Festival Buggy whilst having access to a private Champagne & Wine Bar sponsored by Lanson and Concha Y Toro Wines. As a major sponsor of the 2014 festival, Heathrow Express ensured that guests of the V.VIP Lounge were looked after with free mobile charging courtesy of the Heathrow Express Check In & Charge Station and waitress table service all weekend. Diamond Sporting Group would like to extend a big thank you to all of the incredible sponsors that supported the festival once again this year. Without their support, the event simply would not be what it is today and we are proud to be associated with such renowned global brands. The Diamond Sporting Group team have promptly started work on next year’s festival that will once again take place on the final Bank Holiday Weekend in May, Friday 22nd, Saturday 23rd & Sunday 24th. Plans are already in place to ensure that the 2015 event is bigger and better than ever before.